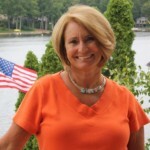 Penny invites you to bookmark this site as a great resource for the best in Fredericksburg, Northern Virginia and Charlottesville area real estate information, homes for sale and other timely real estate issues. We have recently added exclusive home /lifestyle search applications to our website with mobile accessibility to enable you to enhance your real estate research process. Lake of the Woods Va. is home for Northern Virginia transplant Penny Ostlund and her husband Charlie. 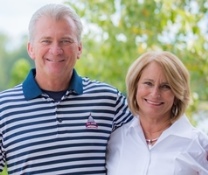 Penny and Charlie are your resource for selling and buying a home in the greater Fredericksburg region and in particular the Lake of the Woods community in Locust Grove, Virginia. The recipients of numerous awards of excellence including the Above and Beyond Award, Sterling Society, Diamond Society and the President’s Circle, and is one of the top ten Coldwell Banker agents & team in Virginia. Remember the key to success is synergy. Let Penny and Charlie show you why the power of teamwork will make your real estate experience a positive one, and why you’ll say, “Penny helped me make this place my Home!” Make the most of your real estate opportunities today and count on Penny and Charlie. We are committed to exceeding your expectations in assisting you in the sale of your current home or the purchase of a new one. We firmly believe the home sale process is a partnership between the agent and home-owner. In that regard we are committed to doing everything we can to help you get your property ready to market. Starting with a complimentary power-washing of your home, professional photography and video and an extensive internet marketing campaign our goal is to provide, “Exceptional service, with a Personal Touch”. I have lived at Lake of the Woods in Locust Grove, VA. for the past fifteen years. A Virginia resident for my entire life, my husband, Charlie, and I raised our three sons in Vienna, prior to re-locating to the Fredericksburg area. While living in Vienna I established an extensive background in the Northern Virginia housing industry with over twenty years experience working for developers and building contractors. 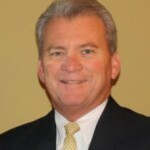 I began my career in real estate in 1988 when I became a licensed real estate agent. In addition to being a realtor , I also was an assistant to several of the top producing real estate agents in Fairfax County, where I learned that commitment to customer service is the key to a successful business. I have earned many distinctions in my real career, receiving the “Beyond Excellence Award” while working as an agent for ERA Holden Group, as well as being one of the top producing agents in the Lake of the Woods area for the past ten years. Currently serving the greater Fredericksburg and Culpepper area. I am a top producing agent for Coldwell Banker Elite, the premier Coldwell Banker Company in the state of Virginia. In 2011 I earned membership in the “International Sterling Society” a distinguished honor presented to only a select group of top sales associates across the globe, and in 2012 was awarded the “International Diamond Society” award, and in 2013 & 2015 was was recognized as a member of the “International President’s Circle”, as one of the top 10 Coldwell Banker REALTORS in the state of Virginia; and as a team, we were recognized last year with the “International Sterling Society” Award. Although the awards are nice, the only thing that matters to me is to have the complete satisfaction of every client I represent. The Ostlund Team is committed to fulfilling our slogan of , “Providing exceptional Service, with a Personal Touch”. I retired in 2014 after forty years in education to join my wife in real estate as part of the “Ostlund Team”. Most of my career in Education was working in the Fairfax County Public School System. I served as a Principal of Oakton High School ,as well as an Assistant Principal. Prior tothis role at Oakton High School, I was the Director of Student Activities at James Madison High School, as well as a classroom teacher, and coach. My career with Fairfax County Schools spanned from 1973 until 2004. After retiring from Fairfax County, I worked as an Adjunct Professor for the University of Virginia’s Curry School of Education and returned to my roots as a classroom teacher for The James Monroe High School in Fredericksburg where I taught for seven years as a Special Education teacher, and Social Studies Department chair. With my background in education, I developed a deep understanding that the relationships with the people you work with are what matters most and the key to success. In my role as an administrator I developed a vast experience in dealing with people and problem solving. I believe I bring that skill-set to my clients by assisting people in the greater Northern Virginia area with their real estate needs. We are the proud parents of three young men. Our son Chad and his wife Beth recently moved to Chantilly from Florida with their two granddaughters, Maya and Ellie. Chad is an IT representative for a major corporation and our Daughter-in-law, Beth is a Professor at The George Washington University in the Special Education department. Michael, a middle school math teacher, lives in Atlantic Beach Florida, and our youngest son Ryan, makes his home in Virginia at Lake of the Woods, with his wife and children, Xavier, Trinity and Reagan. Where We Work – 3D style! !